This modern gem, newly reformed family villa is new to the rental market! With views over the sparkling Mediterranean sea and a sandy beach just a short stroll away. TV: Only French and German TV channels Travel Cot and Highchair available at this villa. Table tennis table and equipment Solar pool heating can be arranged during the winter months for €80.00 per week. We are also proud to offer car rental and airport transfers, please contact us for further information. Beautiful villa, excellent layout as we we a family and friends. The family were all together allowing friends a separate space. Pool was brilliant and the surrounding gardens beautiful. Excellent villa for a relaxing holiday. We wanted a relaxed holiday and or was. The house is beautifull, the swimming pool perfect. The house is in an quit neighboorhood. 10 minuten by car to the boulevard of el Campello. Small supermarket close to the house. 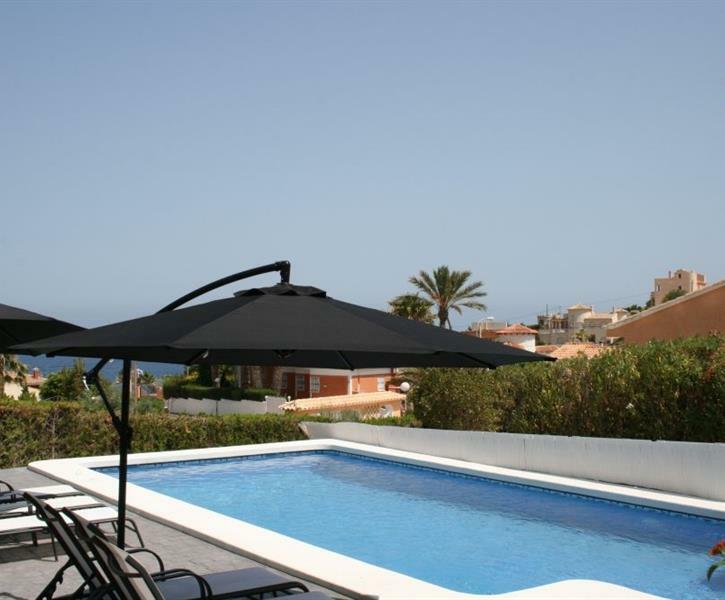 Beautiful villa well presented with a great pool and fantastic views. Bars and restaurants within walking distance very limited but nevertheless all good. We never hired a car but car hire was advised and I would recommend it.